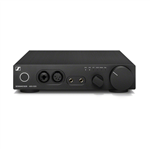 Here you will find headphone amplifiers that we recommend at many different price points. We feature some of the worlds best headphone amplifiers from some of the best manufacturers in the world including our own line of Apex High Fi Audio amps designed by Pete Millett! Whether it be for use at home, the studio, work, or portable - we have a great amp for you! The Cayin Solid State desktop Headphone amplifier makes for some great headphone listening. Pair with the Cayin iDAC-6 for a great desktop combo! Your music defines your personality. It's part of your heart and soul. As a fellow audiophile, Todd the Vinyl Junkie knows you demand top-quality components when it comes to the best headphone amplifiers in the industry. TTVJ's inventory defines his brand. You'll find balanced headphone amps that comb out distortion and leave you with a virtual band in your mind. Think about trying tube headphone amplifiers so you can understand the auditory difference from solid-state models. The world of audiophile headphone amplifiers can be daunting. Read up on one of the high-end headphone amps that's in stock right now. The details may be complex, but they translate into treble, mid-range and bass that's unforgettable. The secret lies within the circuitry and design hidden deep inside each amp. Balanced headphone amplifiers, for example, automatically convert the music into a real-life experience. You'll feel the strings on a violin as you listen to a classical piece. Music will never sound the same again with portable headphone amplifiers at your home or office. Portability doesn't equate to low-quality parts either. TTVJ takes pride in each component because they will change the music for the better.